Is a Digital Assistant a Good Fit for Your Home? Smart home tech is a huge selling point for real estate. And as companies like Apple, Google, Microsoft, and Samsung compete in the world of home automation, voice assistants are now popping up as a value-add for home sellers and real estate agents. Siri, Alexa, Cortana, and Bixby have become household names, but they aren’t the right fit for every home. Here are some pros and cons to consider before investing in a digital assistant. The number one goal of voice assistants is to make your life easier. Smart speaker owners use voice assistants daily to find answers, stream music, and check the weather. 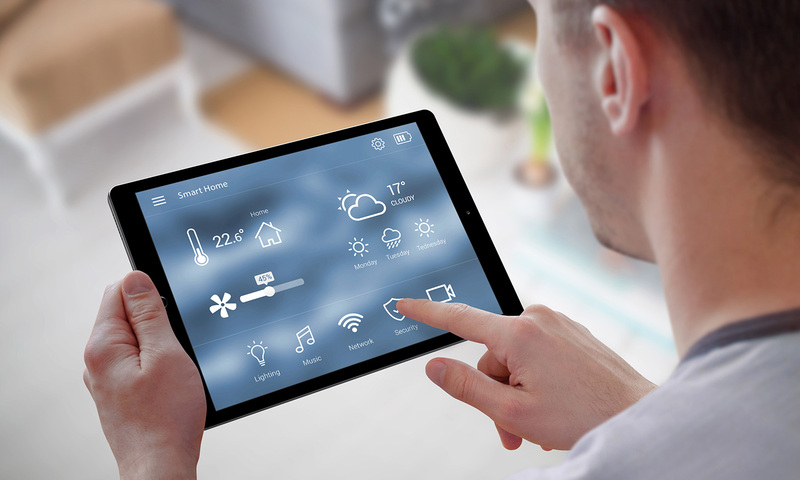 If you have a connected smart home, your digital assistant can also control any number of things like your TV, lights, security system, and even kitchen appliances. Smart assistants also help increase autonomy in the home for users with visual impairments or those who are less tech savvy. Due to their popularity, digital assistants are now relatively affordable. The Amazon Echo Dot is under $50, while the original (and larger) Echo speaker runs for less than $100. The Google Home Mini is comparable to the Echo Dot in price at $50 or under, and the larger model costs around $100–$129. The Apple HomePod is the most expensive of the popular digital assistants at over $300, but is still reasonably priced for an Apple product. One of the main features people enjoy in a digital assistant is the entertainment factor. Your voice assistant can play music and control your TV (if it’s compatible), but it can also act as a standalone entertainment device for your home. Depending on the assistant, you can ask the AI to tell jokes, sing songs, play trivia, or simply shoot the breeze. The downside to digital assistants is that their compatibility is often brand-specific. Most people have a range of preferred devices and brands, but voice assistants only support a certain range of products. If you have an Apple HomePod but use Samsung smart devices and an Amazon Fire TV Stick, Siri may not be able to control them for you. In the same vein, if you purchase an Alexa but don’t have an Amazon Prime account, you won’t be able to take advantage of the voice assistant purchasing features. Making sure all your smart home devices are compatible to your voice assistant can be annoying and expensive. Having a personal assistant always on hand seems appealing, but voice assistant functionality is still limited. It requires a high-speed internet connection, which instantly limits its use to indoors (give or take some hotspots, perhaps). Developers work constantly to update their databases with more information, but the algorithms are often lacking. Alexa might be able to sing you a song and tell you the weather forecast, but when faced with more complex questions, her response is often “Hmm, I don’t know that.” This lack of human understanding can be pretty frustrating. While the always-on microphone is designed to create a more personalized experience, some people find the idea that a digital assistant is always listening unsettling. That constant listening can be controlled in some cases, though you’ll sacrifice some of the convenience the device provided. It’s ultimately up to you to decide whether or not a digital assistant makes sense to have in your home. While there are potential drawbacks, investing in digital assistants now could put you ahead of the curve in terms of smart home automation.